Stuhrling Original’s Tuskegee Elite is an amazing example of rugged pilot-style design. Inside the 42mm solid stainless steel case is a Ronda 515 Swiss quartz movement, which includes hours, minutes, and seconds with quick set date. 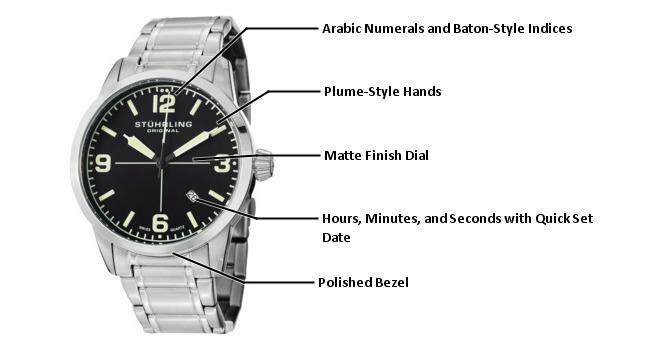 The matte dial utilizes bold Arabic numerals and baton indices with plume-style hands with luminous fill. 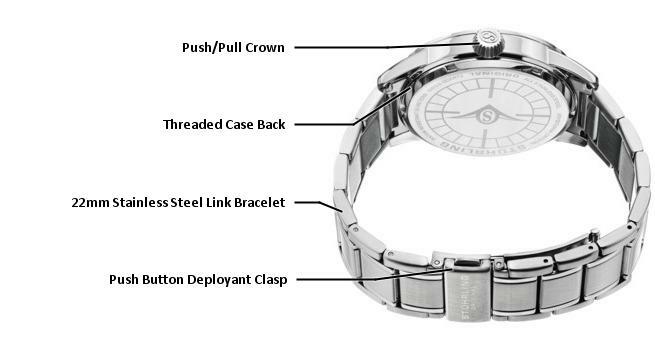 The Tuskegee Elite comes equipped with a brushed finish solid stainless steel link bracelet that integrates seamlessly to the case. The Tuskegee Family is part of the Aviator Collection, which are timepieces inspired by the instruments of an airplane. These watches feature simple dials with bold Arabic numerals that are often topped with Super Luminova for a brilliant shine in the dark.